Battery World offers every type of battery. 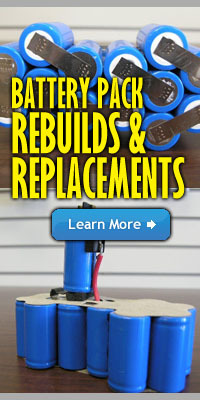 Replacement batteries, industrial batteries, medical equipment batteries, batteries for your electronics, and more. We also rebuild battery packs for cordless tools using the highest quality batteries to provide you with more power and longer battery life. In addition, we carry other accessories, like cell phone chargers, so stop by and see us. If we don't have it in our store, we can custom order any type of battery imaginable. Or make an appointment to see us!